The beauty of your home comes with the right color choice. It can showcase your personality while showing the value of your home. However, many first-time homeowners may not know what works best. Professional siding contractors usually follow these four different methods. Whether it’s your kitchen or living room, you should remember the layout of your home. Most likely, the important areas are the ones that are visible from the outside. Consider what color you want for each room. After that, see if the transition will blend well or clash badly. Don’t be afraid to modify for a better look. Choosing the same color for each room makes the place look dull and monotonous. Meanwhile, too many bold contrasts can be disorienting to the eye. One of the best methods for exterior and interior painting is shading. These are variations of the same color, such as sky blue and navy blue. Use this to enjoy a dominant color, without looking too dull or contrasting too much. When connecting different rooms together, like the kitchen and the bathroom, it can be tough finding the right color in between. If you have connecting spaces, like a hallway, the best colors are neutral. Options like beige, white and gray can blend with any style or color. When you are picking options from an exterior painting contractor, make sure to check it under the sunlight. Many options look good in the store. However, the sunlight can easily make a beautiful shade look more drab. If it works in both darkness and light, you have a surefire winner. 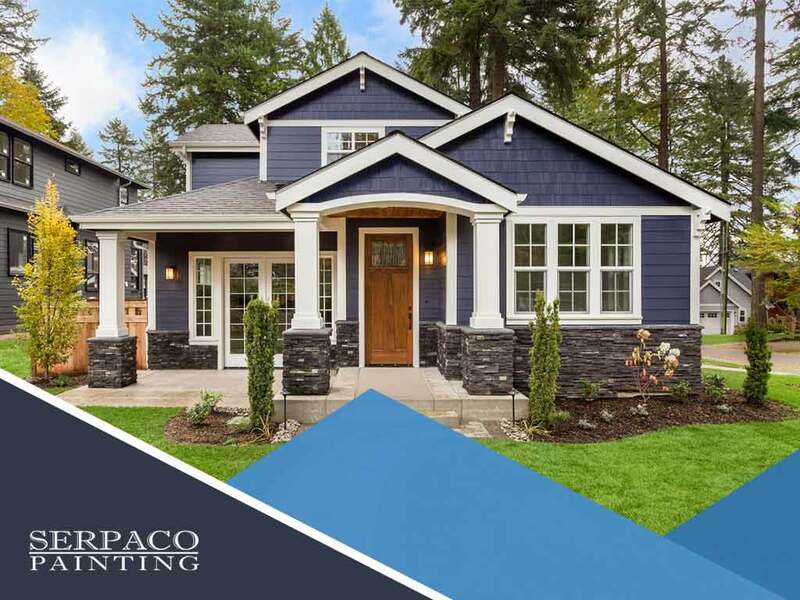 At Serpaco Painting, we offer an impressive selection of top-rated siding offerings, ranging from your standard composite siding to fiber cement siding designed to last for years. They come in many design options and finishes, to complement both your interior and exterior. Call us today at (888) 879-7377 to learn more about our services or fill out our contact form for more information. We offer high-quality painting services in Charlotte, NC, and other parts of North Carolina.